If you tend to keep a balance or are looking for a better rate, this card is for you! Transfer balances over from other high-interest credit cards to the Great Rate card to save time and money. New Cardholders: Receive a 1.99% introductory APR* on balance transfers made within 60 days of card activation and a $0 balance transfer fee! Rate is good for 12 months after first balance transfer occurs. After the introductory period ends, the Variable APR applies. Get rewarded for the things you are already doing! Buy groceries, gas, clothes, travel–or anything else and get rewarded with points. Redeem your points for travel, merchandise or convert Points-2-Cash. You can also make a charitable contribution to MDA or Rainbow Babies and Children's Hospital using Points-2-Charity. 1. Direct deposit to Member's FFCCU Share Account. 2. Account credit back to VISA to reduce outstanding balance. 3. Donation to MDA or Rainbow Babies and Children's Hospital. New Cardholders: Receive 3,250 rewards points after completing your first purchase and an additional 3,250 rewards points after spending $500+ within 90 days of card activation. This is a great way to build or re-establish credit. The credit limit is the amount you deposit into a share (savings) account. You can then use the card to make purchases any where Visa is accepted and the funds are deducted from this designated share account. Ask a teammate for more details. *Click here for Visa Card rates, terms and conditions. 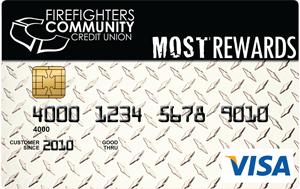 Register your FFCCU Visa® credit card through online banking. After registering, you’ll be able to view your account balance, see card activity and make payments. You can also elect to go paperless and receive statements through Visa® e-Statements. Need Help with your Visa® credit card? In order to view yourVisa® account online, you’ll need to register your card through our Online Banking. Once registered, you will be able to see all the activity on your card, check your balance, make payments, and sign up for e-Statements. Or, you can call us at 216.621.4644 and we’ll take care of it for you! 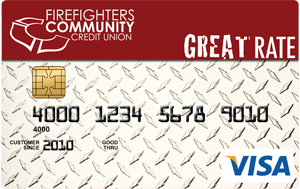 Click here to access FFCCU Online Banking and register your card. If a card is then found, please cut it in half and mail to PO Box 31281, Tampa, FL 33631-3281. 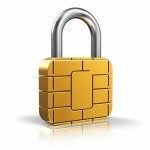 Learn more about EMV Chip technology and Verified by Visa here. Interested in a Visa® credit card? Apply above. Interested in a Visa® Debit card? Click here.